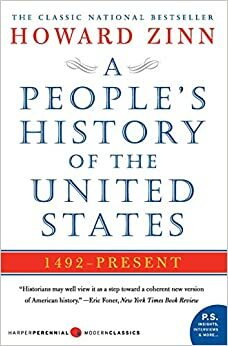 So it took a year of on-and-off reading, but I finally finished Howard Zinn's A People's History of the United States . Anybody here ever give it a read? I think the salient takeaway I had was that almost all of the social issues discussed via old and new media today (racism, economic freedom, war, politics) have occurred and been solved -- to an extent -- with relative frequency over the history of the US. There's a lot to take away from our history that grants perspective regarding modern struggle, which in turns has a calming effect. Time is a flat circle, I guess. Everything we have done or will do we will do over and over, forever. Something comforting in knowing that. > it's about what we want and if people wanted socialism, we'd have it.